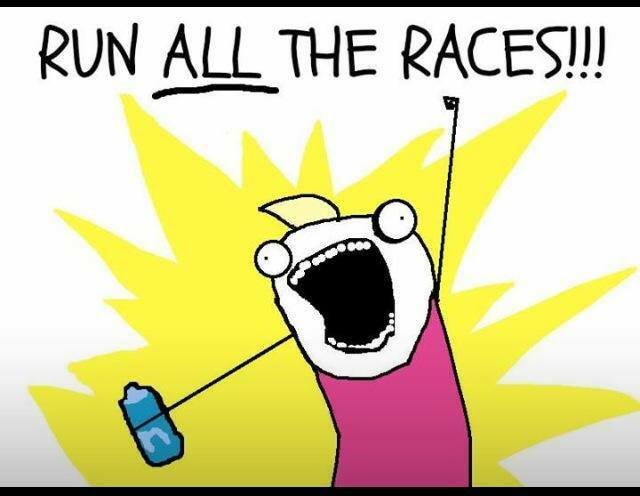 I am very excited about my upcoming Spring races! I know it isn’t in the Spring season but my first race this year is RnR NOLA on February 28th. I did the marathon in 2013 and am excited to go back for another race. My two sisters and nephew are also going so it should be fun!! Next on my calendar is the Live Grit 10 Miler. I’ve done this race a couple times but I think last year was the worst one. The weather started off perfect but then throughout the race it must have dropped about 20 degrees and was windy. You bet I was cold. On the good side, I got a chance to meet Wendy and Marcia. The race course is along the lakefront but on the north side which I enjoy because I normally run on the south side and like the change of scenery. Hopefully the weather cooperates this year. Love the medal too. Next is the Bank of America Shamrock Shuffle 8K. This is one of my favorite races. I love the distance and the location. The start and finish line are the same as the Chicago Marathon. I managed to get a PR in 2014 but missed it in 2015 and you bet I am aiming for one this year. Check out the medal. Pretty cool huh? 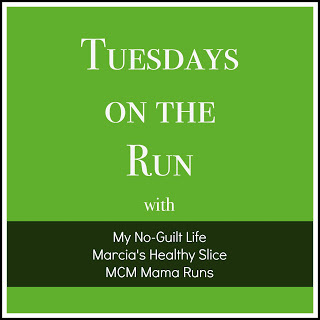 I have a few half marathons in various states that are still in the works. For sure I am going to Michigan for the Bayshore Half Marathon (May 28) and West Virginia for the Harpers Ferry Half Marathon (May 14). I am working on logistics for the Garmin Half Marathon on April 16. That’s three states. My goal is to run in at least 5 different states this year. I’m not sure about the Run for the Zoo Half Marathon in NM on May 1 because that will be 3 half marathons in one month. I know it is doable. I am just worried about how my body will respond to it. I may register for a 5k and/or 10K since I have not done one in years. The Run to Remember 5K in May is a great one but always gets so crowded. I’ve been wanting to run both The Good Life Race 5K and the Ravenswood Run 5K and a few running friends have said good things about both races. I have not made up my mind about the Illinois Marathon Relay also in April. We had a good time (even if it rained throughout the whole race) and it looks like this year more of my friends also want to run the relay. Summer and fall races is a whole different story. I will leave that for another post. Any fun races for you? « Garmin Marathon (or Half) FREE Entry Giveaway – Let’s go to the Land of Oz!! I have been to New Orleans several times and I have always wanted to do a race down there. It would help balance all that delicious food I end up eating while I’m there. You’ve got such a great line-up of races!!! Look at those beautiful medals! 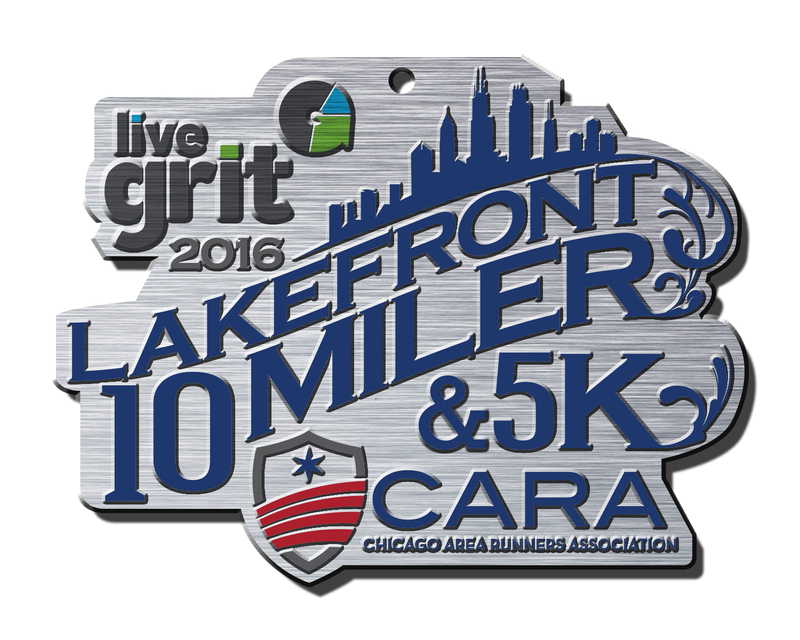 I really love the Shamrock medal this year and the CARA Live Grit 10 medal is very snazzy! I still want to do a marathon relay so if you need someone to fill in at Illinois, let me know. I am so envious of you running RNR NOLA, you are going to have SO MUCH FUN!!!!!!! Thanks. There are a couple more I may add but for now I am looking forward to the ones in my calendar. I’ll let you know about the relay race. Obviously it isn’t something I really, really want to do but again it would be run to run it again. I went to New Orleans for the first time in January and I’m already trying to figure out when I can go again :). Is it getting harder now that you have more states done? I’m already starting to plot out 2017 and it’s hard and i’m just going to be halfway done by the end of the year. I do not think it is harder. Well, for me now it is a money issue and time. During marathon training I couldn’t travel as much as I did before. Already for 2017? I am impressed! Just barely planning for 2017… I’m very picky on my races (better have awesome bling for me to do it! ), so it seems to be hard! I have a love-hate relationship with marathon training– so i’m just going to do it once for sure this year, maybe twice if i get into NYC. Good luck with NY! That is one race I really have no desire to run now. Maybe later. Oh bummer! It is so weird that it was moved to March. Love signing up for races and putting the race calendar together…sounds like you have some fun travels planned for this year! Can you believe I’ve NEVER run the Shamrock Shuffle? I should have my Chi Runner’s card revoked! So jelly of you heading to NOLA. I NEED to go back! Thanks for linking up! Wow- you have a really nice schedule setup with a good deal of variety. I’m excited to read your reports and learn more about these races. Thanks Elizabeth! I am excited too. I loved the Nola half! Will you be pacing with CES? Pacing during the race? No. I do not know of other CES pavers going too. I get in Saturday and am leaving Monday evening. Hopefully we can meet up. Zenaida I hope so too!! I’ll be one day ahead. Arrive Fri an leaving Sunday.